Hotel Murano Earns Four Star Rating from Forbes! 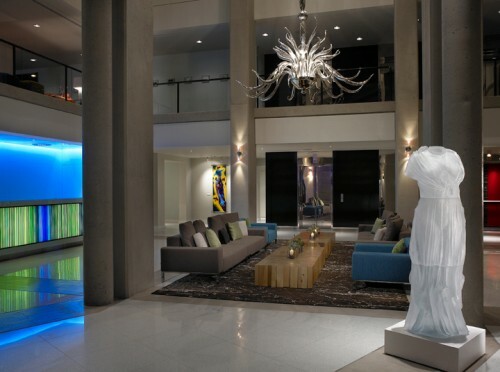 I am thrilled to announce Tacoma’s own Hotel Murano has earned a Four Star rating from Forbes. Hotel Murano is Tacoma’s first ever Four Star rated property, and one of only four in Washington state to earn this rating. It was a privilege to write about Hotel Murano for Forbes. On a recent stay at the hotel, my husband and I experienced some of that Four Star treatment first hand, and I can tell you the honor is well deserved. The hotel is perfect for a staycation, and a delight for out-of-town guests. When you visit Tacoma, be sure to check out my recommendations for Forbes Travel Guide on what to see, do and where to eat. Congratulations, Hotel Murano — now everyone will know what a truly world class hotel you are! 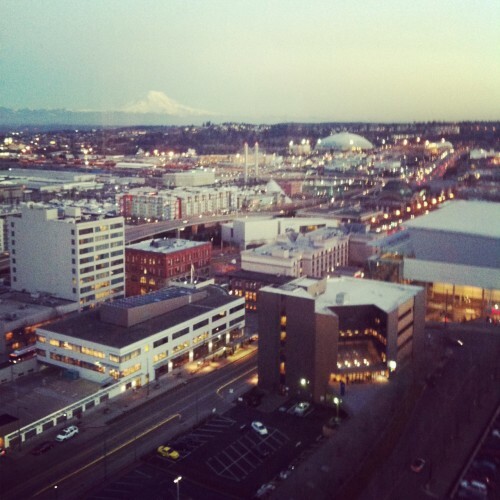 Fancy Date Night, Tacoma Style. I am, by no means, a high roller. That said, every once in a while, a splurge is in order. A time to enjoy the finer things in life and spoil yourself a little. My husband and I were due for a fancy pants date night, and on Friday, we did it right with dinner at El Gaucho Tacoma and a stay at Hotel Murano. A staycation, you might call it. I call it an excuse to dress up emerge from my hoodie-wearing cocoon of our seemingly endless gray PNW days. I have a serious craving for gumbo today. It’s bad. I’m contemplating how to leave work to procure some, but that’s another story. 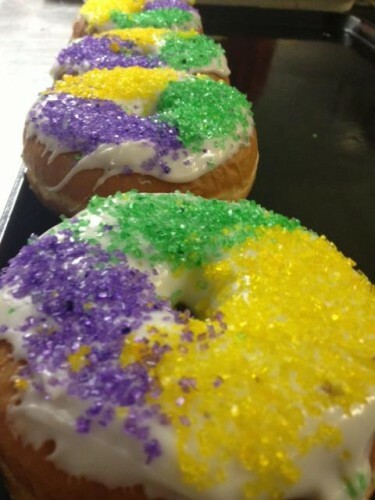 Here are some Cajun/Creole and Mardi Gras specials around the area today for Fat Tuesday! Get ’em while you can! Get some: Shrimp & grits, crawfish gumbo, red beans and rice, king cake. 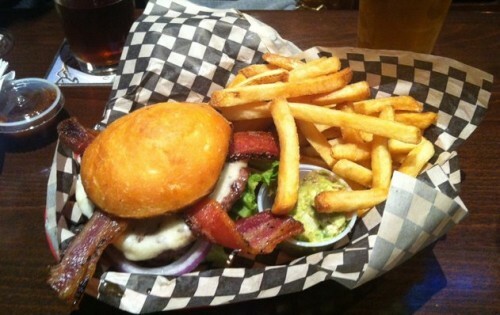 Doyle’s Public House | 208 St. Helens Ave. S., Tacoma | 253-272-7468 | 11 a.m.-2 a.m.
Get some: Shrimp po’boys, blackened chicken & bacon caesar, chicken & sausage jambalaya, chicken & shrimp gumbo, red beans and rice. The Hub | 203 Tacoma Ave. S., Tacoma | 253-683-4606 | 11 a.m.-11 p.m.
Get some: Catfish po’boys, chicken, sausage and seafood gumbo. The Swiss | 1904 S. Jefferson Ave., Tacoma | 253-572-2821 | 11 a.m.-2 a.m.
Get some: Catfish, red beans and rice, gumbo. Babblin’ Babs Bistro | 2724 N. Proctor, Tacoma | 253-761-9099 | 8 a.m.-2 p.m.
Top of Tacoma | 3529 Mckinley Ave., Tacoma | 253-272-1502 | 2 p.m.-2 a.m.
Sweet Charley B’s Cupcakery | 111 Market Street NE, Olympia | 360-350-0332 | 11 a.m.-5:30 p.m.
Get some: King cake cupcakes. 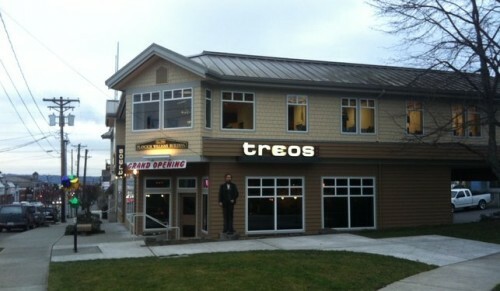 Treos opened today in Old Town in the space formerly occupied by Tully’s. After a dramatic remodel, the cafe has been transformed with cool colors, gorgeous glass tile and modern decor. Although the space remains a coffee shop, you can also enjoy wine by the glass, craft beer on tap, sandwiches by Mike’s East Coast Sandwiches, pastries and a variety of flatbreads made in-house.